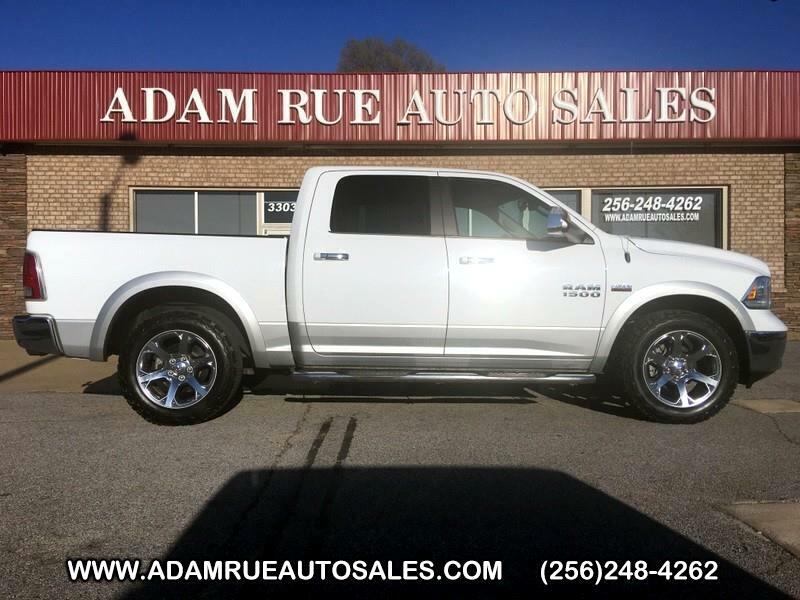 Adam Rue Auto Sales is excited to offer this 2016 Ram 1500. Pull up in the vehicle and the valet will want to parked on the front row. This Ram 1500 is the vehicle others dream to own. Don't miss your chance to make it your new ride. This 4WD-equipped vehicle will handle beautifully on any terrain and in any weather condition your may find yourself in. The benefits of driving a 4 wheel drive vehicle, such as this Ram 1500 Laramie, include superior acceleration, improved steering, and increased traction and stability. Driven by many, but adored by more, the Ram 1500 Laramie is a perfect addition to any home. More information about the 2016 Ram 1500: The Ram 1500 already offered truck buyers a whole host of reasons to consider it, with powerful Hemi V8 availability, coilover rear suspension and innovative storage solutions. With some very effective upgrades in key areas -- namely increased chassis strength, improved base engine power as well as diesel efficiency and more intuitive interior ergonomics. The Ram raises the bar for full-size trucks. This model sets itself apart with ample available V8 power with improved V6 and EcoDiesel V6, Multiple model configurations to suit all needs, user-friendly cabins, increased fuel efficiency, and Ram-Box bed-side storage Thank you for considering Adam Rue Auto Sales! We are proud you are here. Our dealership is focused on making your buying experience as pleasurable as possible. We understand how difficult it can be finding the perfect vehicle. Our staff has been in this business many years and are trained to be professional and courteous while assisting you. After all, you are the reason we are here. We want to be a little different than what you will find down the street. We stock quality vehicles and look forward to treating you like family.